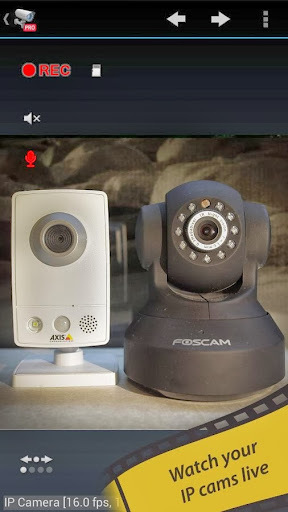 tinyCam Monitor PRO for IP cam v6.7.3 – One of the best apps available for Android for remote surveillance, control and video recording for your private/public network or IP cameras, video encoders and DVRs with CCTV cams (100,000+ active users). Monitor your baby, pet, home, business, traffic, and weather remotely and securely (no data being sent to 3rd parties). tinyCam Monitor provides best value to customers. Buy now to get more features in future updates for free! More than 25 major updates per year with new features! – Fixed invalid recorded MP4. Archive playback should work on more browsers and players. – Fixed recording on motion in background mode. – Fixed web server access on iOS devices. – Allow anonymous access for FTP server. – Improved home/away WiFi network detection. – Full screen support in web server. – Background audio switch moved to app drawer for quicker access.